The Fellowship Music Ministry exists to equip and enable every believer to understand and actively participate in Christ-honoring worship. The purpose of this ministry is three-fold: exalting the Savior, edifying the saints, and evangelizing the lost. Praise teams are the core of our worship music leading ensembles. Consisting of talented instrumentalists and singers, the praise teams lead our corporate worship services with diverse music, embracing all styles and purposely fusing all genres. If your gift is music, and you have a passion to help lead others into sincere worship through song, consider getting involved with a praise team. We have multiple teams with a variety of rehearsal schedules and multiple services to find a place to get involved and connected. Contact Drew Placzek for more information. 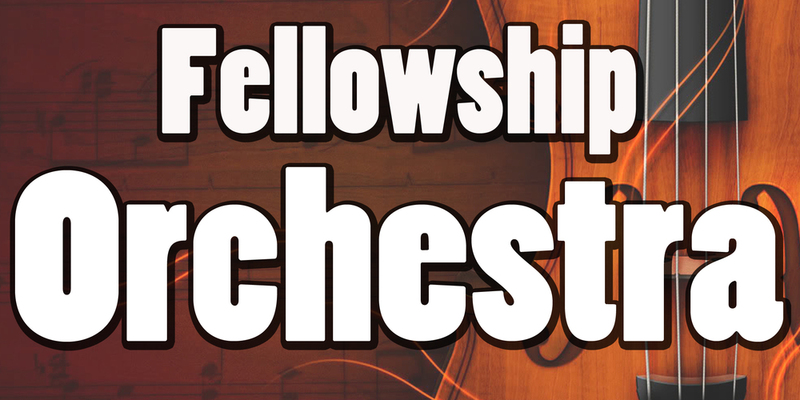 The Fellowship Orchestra is a group of capable instrumental musicians who augment our worship music with the sounds of orchestral instruments. Participation is planned throughout the year with advanced practices. Special holiday concerts and special music in services is part of the fun. If you play a band or orchestra instrument and would like to use your talents for His church…contact Drew Placzek for more information.